What does your company do when a large amount of your discarded documents contain confidential information — information that could either hurt you, your clients, or both, if it got in the wrong hands? Do you pay large amounts of money for shredding equipment and fund hundreds of work hours a year to have in-house employees do the dirty work? Or do you take a chance in the age of fraud to allow an off-site facility to handle the job? Corporations have a professional responsibility to maintain an accurate information filing system; however, the retention of unnecessary documents can prove fatal. An on-going practice of regular document destruction reduces the storage of files and eliminates the suggestion of selective file destruction in the case of litigation or investigation. Mobile document destruction eliminates the noise, dust, cost and inconvenience of in-house shredders. Because most employees intensely dislike shredding, they postpone the task, thereby jeopardizing in-house security procedures for document destruction. 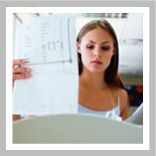 On-site, mobile shredding is the most secure method of destroying confidential information. Using your company's own employees takes time away from more productive activities.